All sorts of products are becoming available in stick form. Since I’ve spent so much time going over different kinds of makeup in stick format, it only makes sense that I would do a little bit of research to see if skincare came the same way. Although I couldn’t get my hands on enough of them to do a particular post for each sort of skincare, I thought having a kind of collective post on skincare sticks would do the job as well. I bought this product pretty quickly when the Milk Makeup brand launched at Sephora. I’m a sucker for the idea of convenience, plus it’s blue. Why not? This product doesn’t really do much for me. It’s not bad, it’s just kind of there. 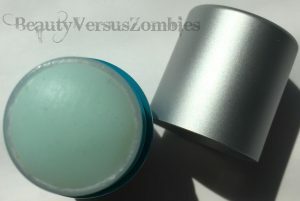 Later in the post I’ll talk about a skincare stick I really like; this one just doesn’t measure up to it. The stick is cooling, as advertised. 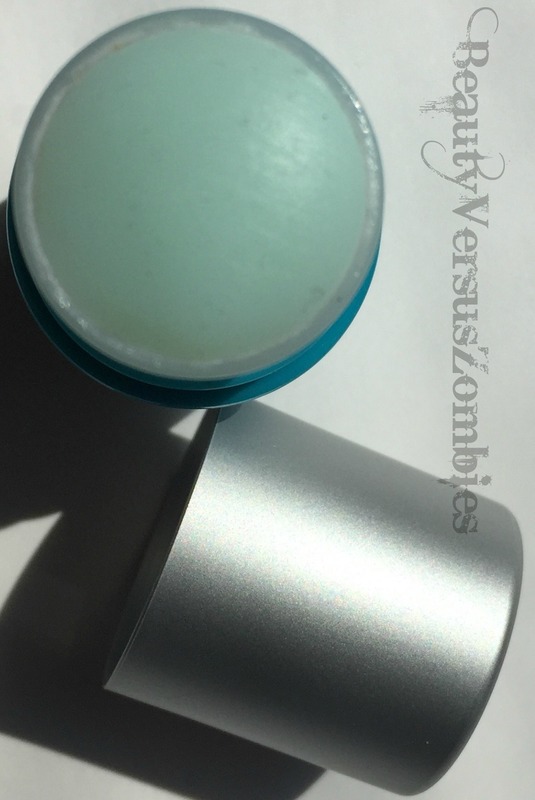 It provides a light amount of moisture but leaves my skin feeling a little clammy in a weird way. To be frank, I think I’d enjoy this stick best if I were using it on the back of my neck during a really hot day or right after exercising, although the semi-waxy feel might still be too much for me then. It does drag on the skin a little bit, but not enough to be really troublesome. Just enough for me to notice. 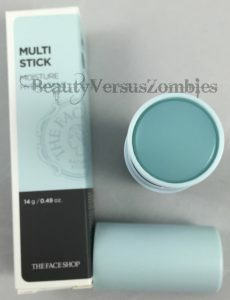 You can purchase this stick from Sephora or from Milk Makeup’s site for $24. It’s not horribly expensive. It’s also vegan, gluten-free, and cruelty-free, if that piques your curiosity. 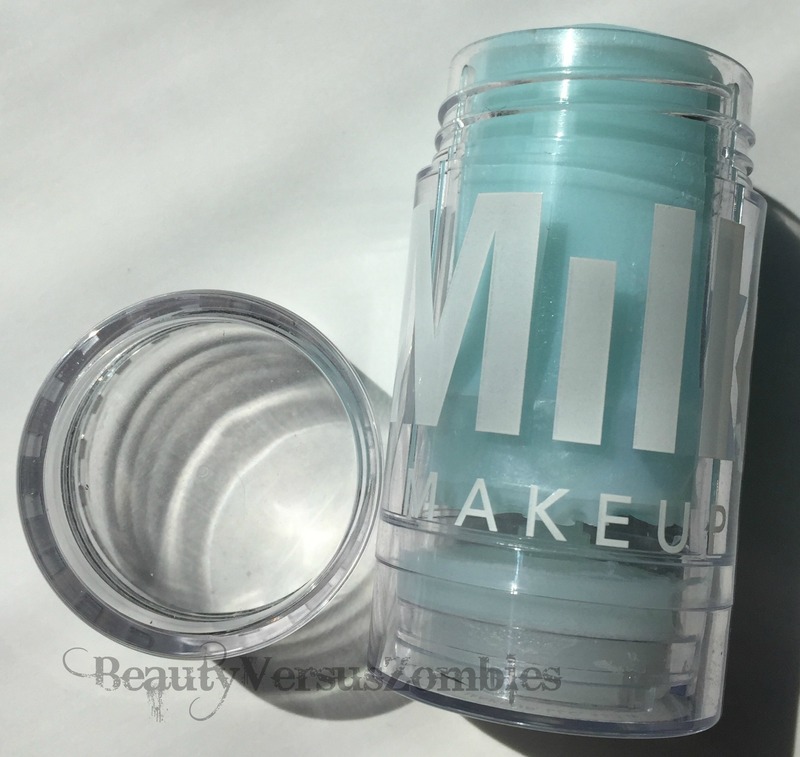 Ingredients (per Milk Makeup’s site): Water/aqua, Propandiol, Bis-PEG-18 methyl ether dimethyl silane, Sodium stearate, Aloe Barbadensis Leaf Juice, Phenoxyethanol, Caffeine, Nylon-12, Sea water (maris aqua), Kappaphycus Alvarezii Extract, Glycerin, Stearic Acid, Chlorphenesin, Blue 1. This skincare stick was a gift a long time ago from my little sister, who knows I like to try weird skincare things. It’s a tiny little stick, and a really good size for applying it right to the eye area. The product is blue, like the milk makeup cooling stick, and also doesn’t leave any residue. It melts really easily onto the skin and has a good cooling effect. 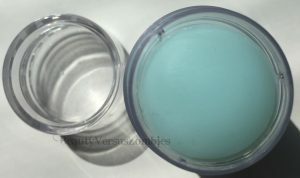 It’s got what I would consider a medium moisturizing effect – good if your eye socket area is normal or oily, but it likely won’t be enough if you have really dry skin. When I was using Curology, this stick was not enough to keep my eyelids from getting really oily in an effort to compensate for how dry my skin was. I’ve used almost 90% of the Eye Oasis, which is rare for any product. I’ll keep saving the last 10% so that I can have it with me for travel. You can purchase this in a couple places, though it appears to have been discontinued by the original manufacturer. The first place I found it is for around $13 on Jet.com, which I will admit that I’ve never used personally. You can also find it on Amazon for about the same price. Those are the only two places I think that you can still grab it, which is surprising to me since it got really good reviews from Allure and NYMag. Ingredients: water, butylene glycol, bis-PEG-18 methyl ether dimethyl silane, sorbitol, sodium stearate, glycerin, algae extract, aloe barbadensis leaf extract, ulva lactuca extract, undaria pinnatifida extract, panthenol, tocopheryl acetate, alanine, arginine, betaine, BHT, bisabolol, caffeine, disodium EDTA, glutamic acid, glycine, hydrolyzed algin, hydrolized pea, lysine, pentylene glycol, proline, serine, sodium PCA, stearic acid, threonine, zinc sulfate, methylparaben, phenoxyethanol, polyaminopropyl biguanide, propylparaben, farnesol, Yellow 5, Blue 1. The Face Shop Multi Stick Moisture is part of a series of Multi Sticks that includes foundation, contour, highlight, pore smoother, and more. This one is, obviously, a skincare stick for the purpose of moisturizing. It’s a clear blue in color and leaves no white cast. Unfortunately, it smells a little bad – like face spice and fake floral fragrance all mixed together and just kind of left there. This product is pretty sticky feeling, and not super moisturizing. It plays well with other skincare layered over it, but you need to give it a minute to dry down a little first. Unfortunately, that’s all I can really give you as a review for this product, because it broke me out fiercely the first day I used it. I generally don’t give skincare a second chance, so this skincare stick is out. Ingredients: water, butylene glycol, glycerin, sodium stearate, propanediol, alcohol denat., niacinamide, xylitol, chenopodium quinoa seed extract, aloe barbadensis leaf polysaccharides, BIS-PEG-18 methyl ether dimethyl silane, silica, bentonite, PEG-40 stearate, adenosine, 1,2 hexanediol, phenoxyethanol, fragrance, blue 1. You can purchase this stick on the KoreaDepart for about $9, eBay for $11.50, and W2Beauty for about $12. This product is supposed to help brighten dark circles and spots, and to moisturize the skin. 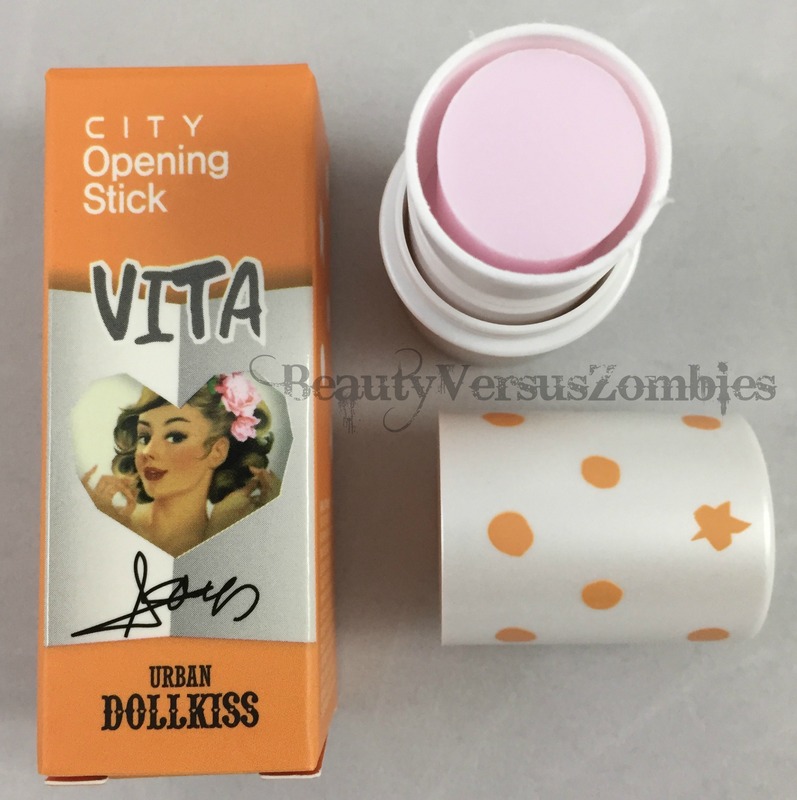 It’s pretty small for a skincare stick (which one would think you’d be using on the regular) and the design is kind of juvenile. The stick itself is pink, but applies clear and doesn’t really leave any kind of cast at all. It also smooths over the skin in a really clean way, with no tugging or sticking to the skin. Nor does it leave a gross and sticky feeling behind, which I really appreciate in a product. Unfortunately, this is a scented skincare stick, and the scent viscerally reminds me of laundry detergent. Not a pleasant association if I’m going to be slathering this all over my face. In addition, the stick of product itself is smaller than the tube case, so the product moves around in the tube as you apply it. I can very easily see the day when I open up the tube and the whole stick of product just falls right out because it’s moved around so much it has dislodged from its base. Technical issues aside, this is one of the better feeling sticks of the bunch. Is it worth it for the price? I dunno, man. I paid less than $10 for this product, so I’m not sore about that. It’s not what I would consider a waste of money, I just wish that this was available in a size that made it actually feasible to use on longer trips. Ingredients: Purified water, butylene glycol, sodium stearate, xylitol, PEG-12 dimethicone, glycerin, PEG-8, bis-peg-18 methyl ether dimethyl silane, dimethicone, potassium alginate, xanthan gum, fragrance, lemon extract, licorice extract, raspberry extract, orange extract, biotin, ascorbic acid, cyanocobalamin, tocopheryl acetate, corn oil, (something I couldn’t make out but that is some kind of oil), lavender water, clary extract, hyacinth extract, chamomile flower extract, borage extract, cornflower flower extract, Red 227, 1,2-hexanediol, rosemary leaf extract, sunflower seed oil. Guys, the writing on this box for the ingredients list is near unintelligible, so the above is the best I could do. Sorry for any mistakes. You can purchase this product on TesterKorea for $7, on KoreaDepart for $4 (way more worth it),or on eBay for $13. I’ve seen it pop up on Hautelook as well (I think it was posted with Skin79 products). If you take short trips or need to pack something really small, this may be worth looking into. Or even if you want to just give skincare sticks a whirl but don’t want to spend a fortune. So I saw the ad for this product pop up in my inbox and I thought “Cucumber water… just blehhhh.” I mean, as skincare concepts go, it’s not super exciting or anything, is it? But I bought it for the blog because I’m a sucker for a theme. The packaging itself is pretty minimalist. White box, beige tube, white product. Also not super exciting. It has no fragrance, which is phenomenal. But guys, I dig this product. I was actually startled by how much I liked it. It doesn’t leave an awful gummy residue, it doesn’t clog the hell out of my pores. It’s a decent light moisturizer/toner step. It leaves a little bit of an almost-sticky feeling behind, but in a strange way that almost feels like it’s grabbing onto whatever I put on next and helping it. I’ve used this product as a toner, I’ve used it after my serum, I’ve used it between the two, and wherever I put it in my routine I end up really enjoying it. Although the balm itself looks white, it leaves no cast behind. I was not expecting this. I’m not sure how to feel about it. I got this at Sephora for $42. I will probably keep it only for travel, since it’s a stick format and I like it so I won’t need to shop for anything else of this type again (until it is inevitably discontinued like everything else I enjoy). The big down side is, of course, the price point. 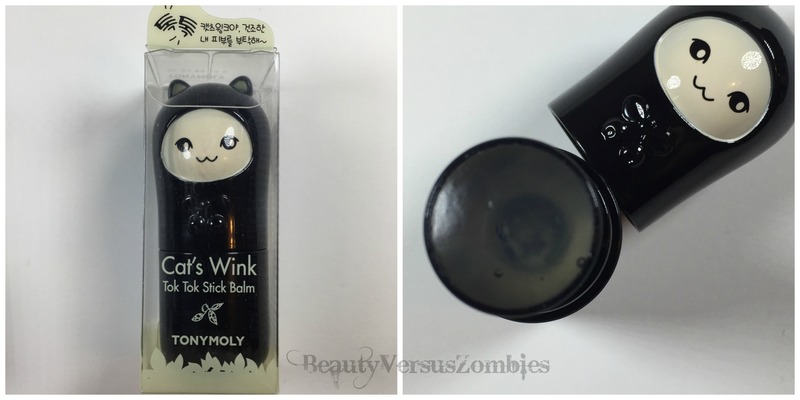 You know, they used to sell this product and the Panda’s Dream eye stick at Sephora, and I kept looking at it and going “ok, so this is cute, but I could get it for so much cheaper from Korea”. Then I’d actually shop on Korean sites and there would be so much other stuff that I actually wanted that spending money on a stick thing like this just seemed like a waste. But hell with that, I want some skincaretainment too! Just because it’s a skincare stick doesn’t mean it can’t also be a kitty. I got this at Ulta for $9. It’s generally more expensive than that – I guess I went in on a sale day. And I guess what I mean to say by putting that particular fact at this point in the product review is, sometimes you do get what you pay for. Most of the time when I purchase Korean skincare, I get a product that is just as good as (or better than!) the Western equivalent for a significantly smaller price. This is not one of those times. The packaging is cute, but it’s small, so there’s not much product. The stick itself is clear, so it doesn’t leave a residue. However, it is absolutely and by far the gummiest-feeling of the skincare sticks that I tested. I tried it once and was like “Welp, never again.” I’m glad I paid less than $10 for it, and to be frank even that was a bit of a waste. 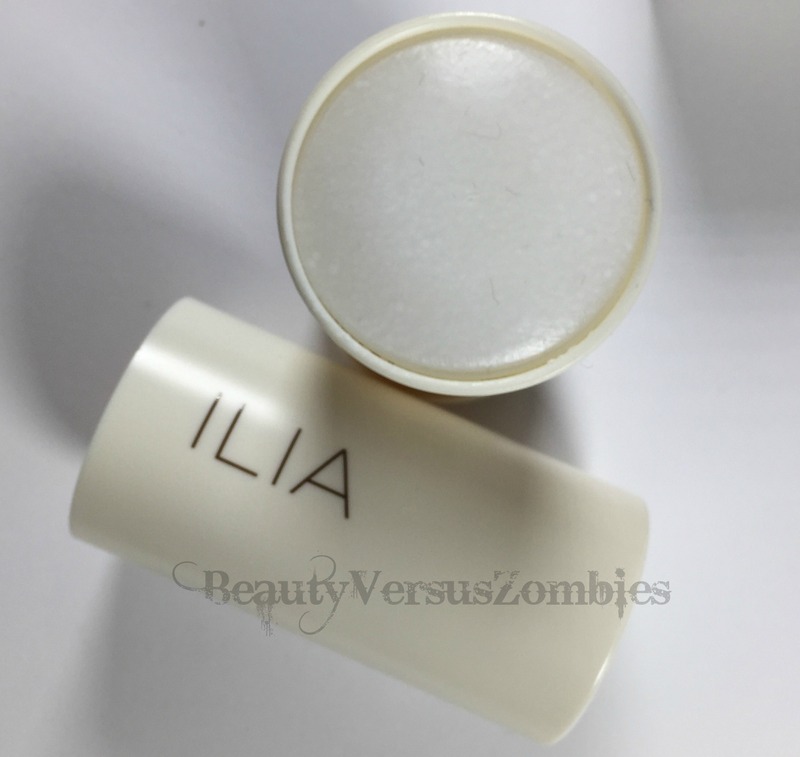 Of all the skincare sticks, my favorite (by far) was the Ilia Cucumber Water stick. The price tag is hefty, so in the future I’ll have to weigh the convenience of easily packing against spending time decanting a cheaper product. The Urban Dollkiss was second, held back by its fragrance and the fact that it’s absolutely tiny. The H20+ Eye Oasis stick was pretty good for what it was, but it’s not widely available anymore and that kind of takes it out of the running since I can’t repurchase it. The Milk Makeup stick was kind of bleh and The Face Shop disappointed me with an instant breakout. I’m not sure that there are skincare sticks out there that will ever give you the same hydration that you’d get from a cream or lotion. To be frank, you’ll probably also get better hydration from a serum or emulsion. But they aren’t bad toners for travel or for a quick fix as long as you aren’t outspending your budget and your skin isn’t the Sahara. 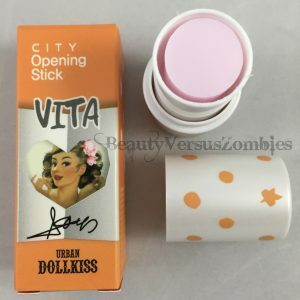 This entry was posted in H20+, Ilia, Milk Makeup, The Face Shop, tonymoly, Urban Dollkiss and tagged minireview, skincare, Stick it to Me by BeautyVersusZombies. Bookmark the permalink.